This is a guest-post in the form of a written interview with Naseer Ghori – a male cupping therapist based in Hyderabad, India. Assalamualaikum, my name is Naseer Ghori. By profession I am into Information Technology use to provide IT solutions for corporate sector. I used to work in Kuwait along with my elder brother Shahab Ghori. At that time he was suffering from severe back pain. Even after taking many treatments there was no improvement. Finally on the advice of a friend he underwent hijama in Kuwait and the result was simply amazing – all his pain vanished. Only then I came to know it is a sunnah and with so many benefits. From here my curiosity started, to know more and more about hijama. I went to Malaysia for a course on hijama. I then came back to India and started an exclusive center for Hijama with many trained and professional doctors. Within a year’s time we have done hijama on thousands of male and female patients. Many newspapers and channels have published articles and news on cupping through us. Alhumdhulilah I am very thankful to Allah that he has given this opportunity to us. * Musculo-skeletal conditions: aches and pain, arthritis, muscular injuries, joints pain. * Gastro-intestinal conditions: loose bowel, non-infectious and abdominal pain. * Strengthening the kidneys and urinary system. * Increasing memory and hair growth. * Sciatic pain, frozen shoulder. * Cupping is very good in nervous system problems. In our experience we have got wonderful response in thyroid cases, migraine, backpain, cervical spondylosis, migraine, constipation, sciatic pain, pimples, irregular menstrual periods, arthritis and premature hair loss. These are commonly treated conditions in our center. I recommend everyone over 30 (guys) and for females over 40 years old to do Hijama at least once in 4 months. At the very least, they should do it twice a year. We advise our patients that formation of toxins in blood is a natural phenomenon. In our daily life we come across with several sources of toxic waste and as we grow older this will get worse. This will lead to blood stasis (stagnated or congested blood) which could slow down or block supply of blood via blood capillaries which deliver much needed oxygen, nutrients, water, mineral electrolyte, vitamins, enzymes, hormones and immune system cells & antibodies to your cells, tissues and organs. Only Hijama is effective in getting rid of the toxic blood. Thus its important to have Hijama performed on a regular and consistent manner every 4-6 months. Personally I will undergo hijama quarterly, just as a preventive measure. I feel much better after detoxifying my body. – As a country with a significant Muslim population, what is the overall prevalance of hijama therapy in India? Is it available in hospitals and clinics as a valid alternative / sunnah therapy ? Though India has a significant Muslim population but the awareness of hijama is very limited. Only few religious people have heard about it in hadiths but practically very few have undergone it. This was the main reason we started an exclusive center in India just for Hijama. Alhumdhulilah now many Muslims are aware of it. Hijama is a valid therapy in India. Under the department of “AYUSH” Hijama (Cupping) Therapy is a part of Unani medicines. under Regimental Therapies. 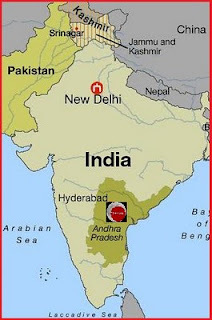 – Tell us a bit about your center and its whereabouts in Hyderabad? · Our health center meets all the government standards for hygiene and safety. · Experienced Lady Doctors are available for female clients to secure their privacy. · Professional and caring staffs to give you total comfort and pleasant experience in our health center. I would say that on advice of a doctor we will undergo an operation without thinking twice. But when our beloved Prophet (PBUH) who is the most intelligent and most trustworthy person recommends why do we think so much? Our thanks to Br Naseer Ghori from Hyderabad, India for sharing the above post. If you have any questions for Br Naseer or indeed have been treated at the Heal Health Care Center in Hyderabad and and want to leave them a testimonial, then please do so via a comment* below.